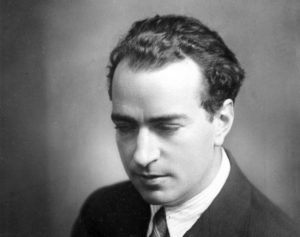 Friends in the Boston area, we have added a discussion panel at Harvard to our Joaquín Rodrigo Festival calendar! The panel will be April 11 at the Harvard Instituto Cervantes, at 5:30 pm. It follow the same format as the one upcoming April 9 at the King Juan Carlos I Center at NYU, on Rodrigo’s life and works. Both panels will include Walter A. Clark, Antoni Pizà, Douglas Riva, and Javier Suárez-Pajares, moderated by our festival director, Isabel Pérez Dobarro. Mezzo-soprano Anna Tonna will perform with guitarist Hermelindo Ruiz. Read the event announcement (español and English) here. 4th Floor, 2 Arrow St.
Or join us in NYC April 9!